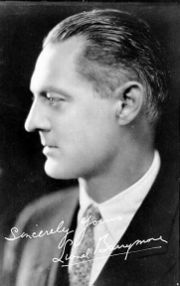 Lionel Barrymore was a famous actor of stage, radio, and film who came from a family of entertainers. He spoke in this seance saying he was still interested in the theater. When he passed away, his mother, father, and dog there to meet him. He describes the afterlife as a natural world but without factories or automobiles.